I’m so excited I finally finished this project. It only took a few hours but I’ve been putting it off all summer long. 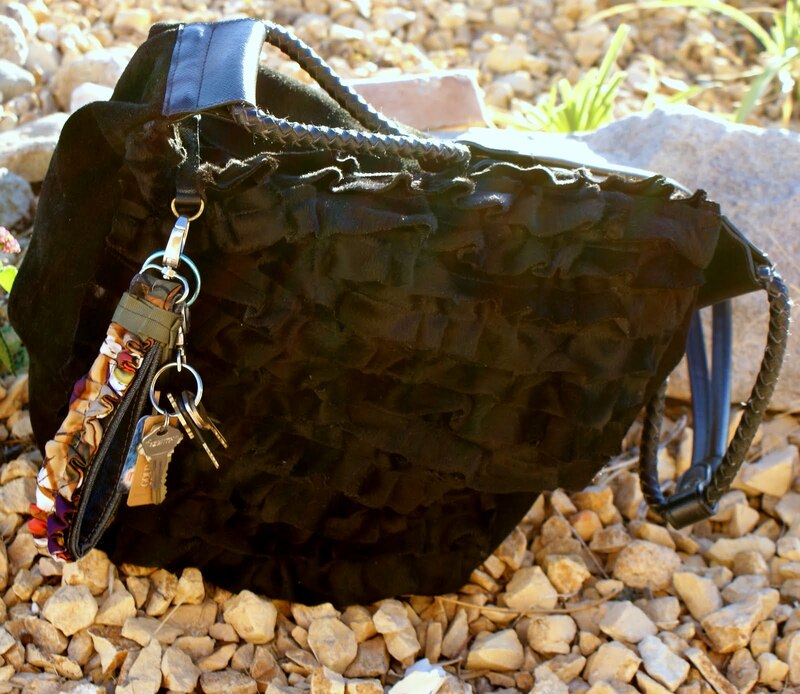 It kept getting pushed aside and finally I was tired of my old purse and this was easy and simple. I had found this hobo bag at a thrift store for $1. Can you believe it $1! It’s just a Target brand bag but it was black and sued. Or faux sued anyway. Let’s put it this way it was a good base bag to re-vamp anyway I like. 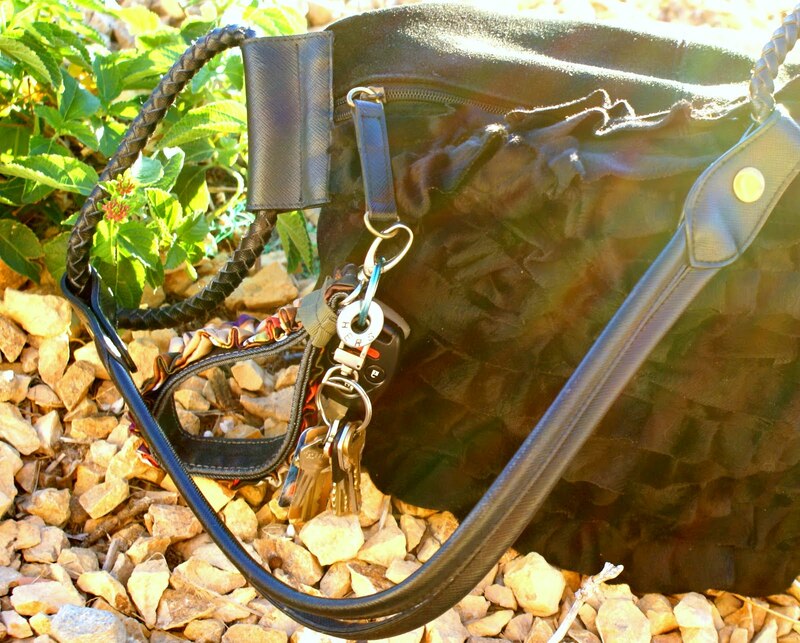 Just a plain basic black bag. I cut up some strips of black faux-fur and did a messy ruffle stitch. You know where you just push the fabric under the presser foot. I love this way, it’s so easy. Now after I had all my strips ruffled and stuff I just started to lay the ruffles on top of the purse starting at the bottom of the bag and layered them toward the top. At this point I wasn’t sure how I was going to attach them to the bag. Then the light bulb went off and I would just glue them on. I used that 6000 epoxy glue to glue the ruffles down to the bag. I trimmed up the ruffles along the side seam of the bag so the ruffle appears to stops at the seam. 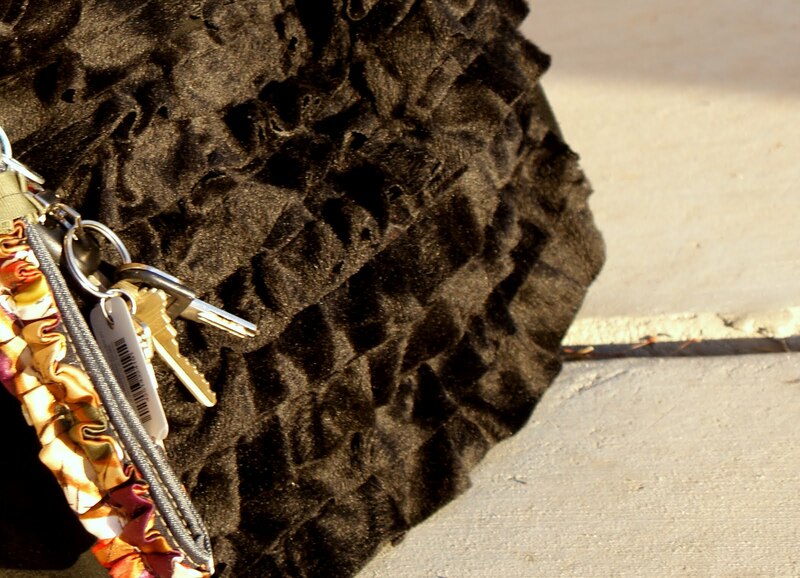 Let it dry overnight and I have a brand new Black ruffle purse. « Headbands! Headbands! and more Headbands! HELLO????? EXCUSE ME????? "JUST PUSH THE FABRIC UNDER THE PRESSER FOOT??????" That is simply BRILLIANT!! I've been sewing for (never mind how many years) a long time and have NEVER thought of that!!! Sheesh! You young whippersnappers are SO smart! 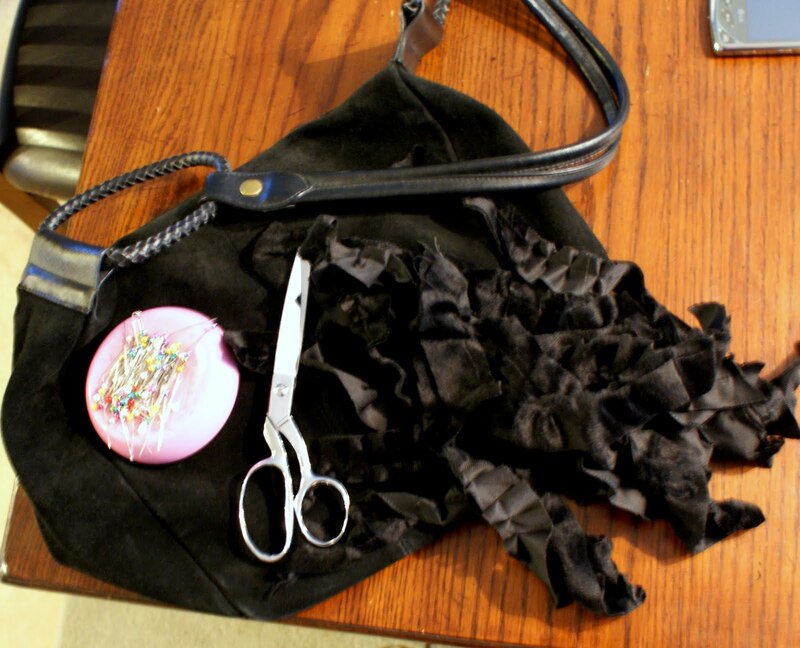 (Yeah, well, I'm not THAT old) I Love your purse and have SO many ruffling projects I want to try….now I'm gonna!!! Thanks so much!! This is a super cute bag! I love it. 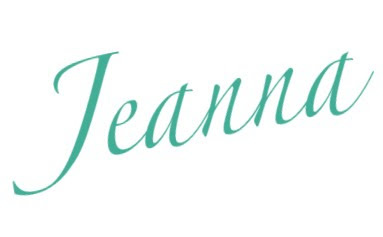 I just discovered your site at a blog party and would love for you to link up at my Savvy HomeMade blog party at http://www.homesavvyatoz.com/2011/08/14/blog-party-3/I look forward to blogging with you! Super cute and fun new bag!!!! 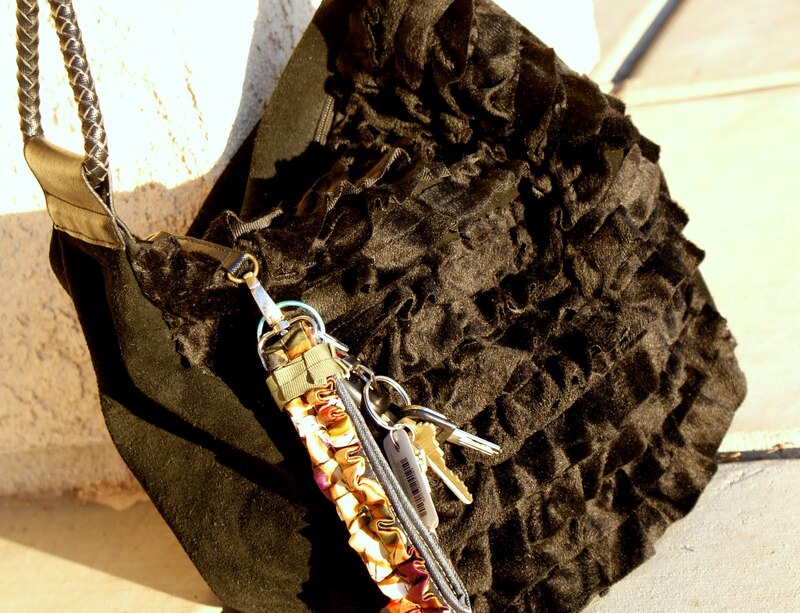 Love the purse and what a great way to attach the ruffles. OH what a great idea and easy way to give it a fresh new look! What a fab idea to give a bag such a great new look!